SSDs (also called solid-state drives) are an alternative to the standard magnetic, spinning disk hard drives we've all been using for decades. You can think of them as USB flash drives on steroids. With no moving parts, an SSD offers more speed, greater reliability and decreased power consumption than magnetic drives. SSDs are still expensive compared to magnetic hard drives. But here's something to consider… right now, a 1 terabyte (1000 gigabytes) magnetic hard drive costs about the same as a 256 GB SSD drive -- roughly US$50. But if you've only got 100 GB of data, the SSD is obviously a better buy, even though it has less capacity. A research paper published at the Usenix 2016 conference argued that SSD age, not usage, affects reliability. And high-end drives based on SLC technology are no more reliable than less expensive MLC drives. So outside of a "torture test" environment, you should not have to worry about your SSD failing in the first 3 to 5 years. The SSD endurance test I discussed above concluded in 2015, but I'll still wager that any of the latest crop of consumer SSD drives is likely to outlive your computer, and will probably last as long or longer than a magnetic drive. 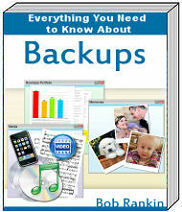 But don't use that as an excuse to avoid doing regular backups. Are you prepared for a data disaster? 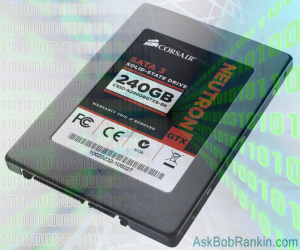 Most recent comments on "SSD Drives: How Long Will They Last?" I've read that usually when a SSD fails, it will fail in the write mode, and you will still be able to read the data on it. True? I see where the MTBF figures for SSD are well over a million hours. What does that mean in real life? I realize at one end of the scale a drive may be dead out of the box, but how many hours should I reasonably expect a drive to last? This is very useful info. Thanks for sharing. I just discarded four 3.5" SATA HDDs (Hitachi, WD, and Seagate) that were all a minimum of 12 years old, and all just fine, just too small - 250 GBs. In my last 25 years as a computer consultant, tech, and teacher of tech, I've found contemporary 3.5" SATA HDDs to be good for over ten years, so that's what I use for backup. That was also my consistent experience in multiple organizations and institutions, each with over 10,000 computers. The only readily discernible failure factor was with 2.5" SATAs. They didn't last as long, often less than five years; but 2.5" are more delicate, far more vulnerable to shock and vibration, and so aren't as reliable as 3.5" drives. Of course, most of these were in mobile computers, which tend to be inferior operating environments, and whose intended and common usage make them MUCH harder on SATA drives. i should also say that I've been using three SanDisk SSD PLUS 240 GB SSDs for about 2.5 years ($34.93 at Amazon) and they've been just fine in every way. They're used as the primary drive (OS and programs ONLY) in three business/institutional model mini towers, each with two SATAs for other storage, including internal backups, along with an external 3.5" SATA HDD as well. In OptiPlexes and ThinkCentre M's, heat is not an issue, so, so far, a perfect approach for me. A simple, easy upgrade, along with better graphics cards and more RAM and that, tuning, and maintenance give me more than I need, plus more reliability than any of the other configurations I've tried. I replaced the hard drive on my lap top, when Bob brought up this subject the last time, with a SSD. It was like a new computer. I have been putting off replacing my desktop Hard Drive with an SSD drive because of the number of user reviews complaining about those drives failing. These failures I see consistently occurring with all brands although some more so than others. So what the percentage of SSD failures to those that don't fail cannot be determined by reviews alone as more dissatisfied people are inclined to reply than those who are satisfied. Still I have some concern as to the quality control and cost of SSD drives which makes me hesitate about getting one. Only SSDs for PCs was discussed. What about a SD card that is in a camera constantly recording data 24/7, continually over writing itself? I did have a 32GB card fail that was in my dash cam after 6 months of use. I put in a 64GB card (largest the camera accepts) for now. Newer cameras accept larger drives. I have been using SSD since they first came out. They were only 32GB then. As a computer repair person for over 12 years I have personally had two catastrophic failures, where they just suddenly quit working and were not recognizable by any computer, Windows or Linux. They were not the same brand or size. In my opinion, yes they are fast and I still recommend them, but I tell all clients, you have to back up regular. Unlike spinning drives where there is a good chance of recovery, even if it won't boot, with an SSD, you stand a high probability, it will fail completely. I'll be in the market soon for a new Windows computer, and my local computer shop tech advises an SSD for the OS and programs. But I've read the same concerns about SSD failures, especially that an SSD failure will likely be catastrophic. I've also read that because of the way an SSD reads/writes/stores data, an accidental deletion becomes more difficult (maybe impossible?) to recover than with a deletion from an HD. I've read a little bit about SSHD hybrids (near-SSD speed with HD reliability) and am wondering where those fit in here. Anyone willing to share any experience with using SSHD hybrids? I recently purchased a Dell XPS 8930 unit with a NVMe PCIe M.2 2280 256GB SSD as a Windows 10 boot drive, and a 1 TB Seagate SATA drive for document and file storage. Because the NVMe PCIe M.2 is not a typical SSD, some applications which help you determine the health of your SSD will not recognize this "drive". I found that my system was writing 160 GB/day to the SSD. Much of that seems to be related to the fact that I had multiple Windows 10 user accounts on the same machine. It seems that switching back and forth between the multiple accounts caused a lot of the extra writes. At that rate of writing, the SSD would reach its theoretical limit of about 150 TBW in less than 2.5 years. I have since restricted all use on this device to 1 user account; made sure that there is no automatic defragging of the SSD (which means checking the "helpful" software provided by Norton which was doing automatic optimization “defrags” even though Windows 10 scheduled defrags were turned off. Also check the optimization tools that may have been provided by whoever built your unit); turned off indexing of the drive, and limited the page file size. Writes are now between 20-30 GB/day. I want to backup the SSD, but this might now be more complicated since I can't back it up to another drive with the same form factor. Instead, I will have to back it up to a standard SATA drive, and then perhaps use redeploy in my Macrium software if I ever need to replace or restore the NCMe SSD. Chris, because you plan on getting a new computer and are not sure about getting it with an SSD drive, many new computers are now utilizing Optane Memory which speeds up a hard drive. This Optane memory is not the same as your RAM memory. It serves as a cache for the hard drive to load files faster making it similar to that of a Hybrid Hard Drive. I currently am using a Seagate Hybrid hard drive and find that it does help a little bit but still doesn't run nearly as fast as an SSD drive. It is my understanding that the best way to go is if you are able to install two drives make the boot drive an SSD drive and the second drive a hard drive for programs and files. I’ve bad luck with off brand SSDs. They usually fail catastrophically , with no warning. I now only buy vertically oriented SSDs , which make the flash, controller and firmware, like Intel, Micron and Samsung. Roger, buy adapter (PCIe SSD to PCIe Express) card to connect nve drive to PCIe slot.